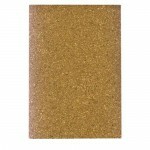 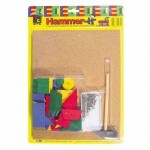 300gm pk Hammer it shapes, geometric, assort colours ..
Hammer it Cork Board 300mm x 255mm x 10mm single ..
Hammer It Farm Kit . 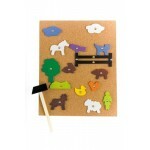 includes, corkboard, tacks, shapes and hammer. 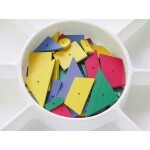 Assort colours ..
Hammer it farm shapes 300gm pk (approx 150pc) Assort Colours .. 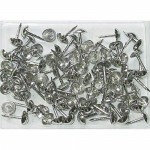 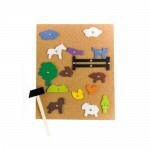 Contains: Corkboard, Hammer and Tacks GEOMETRIC SHAPES ..
Hammer It Tacks Pk60 ..